Passion fruits are suited for squeezing, spooning up, for fruit salads, ice cream and sorbets. It tastes refreshing and slightly acid. The eatable and black seeds are located in the jelly-like flesh. The peel of the fruits is violet to dark brown and affects leathery. Normally do the fruits have a size of a table tennis ball. Passion fruits are rich in Vitamin C and B12 and they carry calcium and ferrum. 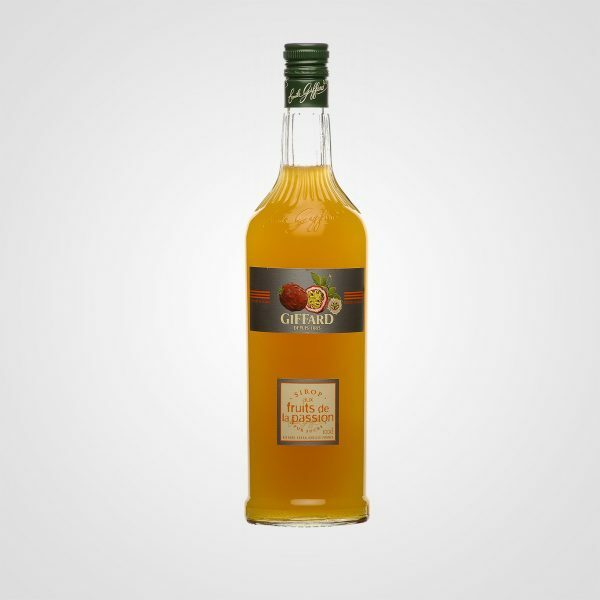 Pour fresh, fruity and colourful Giffard Passion fruit syrup in your cocktails.